Crowdfunding appeal for new raptor satellite tag project © R.P.U.K. The campaign group Birders Against Wildlife Crime has launched a crowdfunding appeal to help support a new project to fit satellite tags to raptors in northern England, set to begin later this year. Satellite tagging has revolutionised efforts to detect raptor persecution crimes, and has also helped draw public attention to the illegal killing of raptors. The power of satellite-tagging was really first realised in 2009 when a young satellite-tagged golden eagle, ‘Alma’, was found dead on a grouse moor on the Millden Estate in the Angus Glens. She’d been poisoned. It’s highly unlikely her corpse would have been detected had she not been fitted with a satellite tag, which allowed investigators to pinpoint her body as she lay face down in a vast expanse of heather moorland. The resulting publicity about her death was phenomenal, and even though nobody was ever prosecuted, this crime turned the spotlight on to an industry that had escaped scrutiny for so long. Since Alma, there have been many other illegally-killed raptors, including golden eagles, white-tailed eagles, hen harriers, Montagu’s harriers and red kites whose satellite tags have given the game away. These days, the raptor killers are wise to the game and now it’s far more common for a sat-tagged bird to simply ‘disappear’, with all the evidence (carcass, sat tag) simply destroyed to avoid detection, although occasionally there won’t be a ‘clean kill’ and the wounded bird is able to move some distance before succumbing to its injuries and investigators are able to collect the corpse, conduct a post mortem and record it as a confirmed persecution crime. Some within the grouse-shooting industry have recently been trying to discredit the use of raptor satellite tags, and it’s not hard to see why. They’ve slurred the professional reputations of highly experienced and licensed raptor researchers and have used some photographs of a young golden eagle with what appears to have a ‘slipped’ tag harness as evidence that the tagging experts don’t know what they’re doing. Now, of course, it’s possible for a sat tag harness to slip, and it does happen on occasion, but it’s a rare occurrence. What the accusers don’t mention is the circumstantial evidence that suggests tagged raptors are being caught inside crow cage traps, providing an opportunity for the trap operator to cut one of the harness straps before releasing the bird, with its tag now dangling and looking like it has been badly fitted. There is also evidence of at least one tagged hen harrier being trapped, its harness removed and transferred to a free-ranging corvid, presumably with the intention of disguising the fact the hen harrier was illegally killed. Strangely, the grouse shooting industry has not tried to vilify the satellite tagging of non-raptor species, such as woodcock (GWCT project) or cuckoos (BTO project); it’s only the tagging of raptors they seem to object to. Can’t think why. Here’s a photo (taken by Stephen Murphy) of Bowland Betty, a sat-tagged hen harrier found dead on a grouse moor on the Swinton Estate in Yorkshire in 2012. A post mortem revealed she had been shot. The new raptor satellite-tagging project in northern England is being undertaken by highly experienced and licensed experts in an independent research consortium (all voluntary – no salaries are being paid). The beauty of this independence is that sat tag data will be put in to the public domain very, very quickly. No more waiting for weeks/months/years to find out what happened, which will allow timely and targeted publicity every time one of these raptors ‘disappears’ or is found shot/trapped/poisoned. Greater public awareness of raptor persecution is key to bringing it to an end. There are two recent RSPB blogs which are well worth a read – aren’t they all, always? it was a deeply frustrating debate – especially to the 123,000 that called for a ban and of course those seeking reform. Our initial reaction tried to pick out some positives, but that was a real challenge. Clearly there is widespread opposition from within the driven grouse shooting community to any real reform. …if pressure for reform remains then the quality of the parliamentary debate will inevitably improve as people won’t be able to brazenly ignore the facts like some did on Monday. 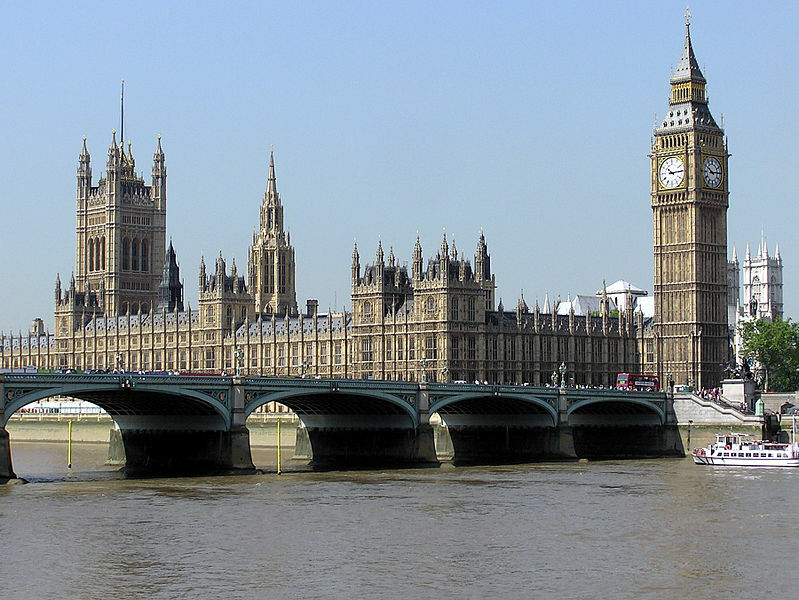 When more crimes get into the public domain it will be harder for MPs to turn a blind eye. …this week, we are raising awareness of the fate of the hen harrier Rowan, found dead in Cumbria in October, and which appears to have been shot. The fate of this bird graphically illustrates that illegal killing of hen harriers is ongoing, contrary to the impression given by some MPs in the Westminster Hall debate. Sitting at the debate, I already knew the nature of Rowan’s recent demise and wondered whether Thérèse Coffey, present as the Parliamentary Under Secretary of State at the Department for Environment, Food and Rural Affairs, was also aware. Against that, I listened with some disbelief at the nature of the debate that unfolded. To be frank, I wasn’t hopeful for a great deal to come out from the process. However, I thought at least this was an opportunity for some serious environmental concerns to be properly aired. Hopefully this would lead to a commitment from the government to at least look at options to tackle the pernicious problem of raptor persecution and a range of others environmental problems in our uplands. At the end of the debate Therese Coffey read out a prepared statement that basically it would be business as usual. We know what has gone before is not working, so I simply don’t understand this response. With just three pairs of hen harriers breeding in England this year, just how bad do things have to get? I do wonder how history will look back on the quality of this debate and whether future society will judge us for failing to take meaningful action. …despite raptor persecution becoming one of the government UK wildlife crime priorities in 2009, I have not seen any meaningful improvement in the levels of enforcement. Compared with elsewhere in Europe and North America, game shooting in the UK is almost uniquely unregulated even though it is far more intensive in nature than almost anywhere else. To the best of my knowledge, no other industry in the UK has to rely on killing rare protected birds. Driven grouse moor management should be no different and simply has to adapt its business model to a more sustainable form of land management to conform to modern day conservation and the wishes of wider society. Unless those in charge are held to account, I believe there is absolutely no chance of a significant change in some of the serious environmental problems associated with grouse moor management. Scotland has made some progress with the introduction of vicarious liability and this should be put in place across the rest of the UK as soon as possible. As highlighted at Westminster Hall, it seems economics plays a very large part in this debate. However, the government do not appear to have done the sums to assess how the benefits from employment and income generation to local communities from grouse shooting compare with counteracting the cost of any environmental damage, loss of wildlife tourism opportunities or the huge sums of agricultural subsides paid into the uplands. Whilst I will not be at the RSPB a quarter of a century from now, I would hope to still be here and to have witnessed a real change in the condition of our uplands and for the shame of raptor persecution to finally end. However, for these hopes to become a reality I believe this government needs to start taking take meaningful action now, and not just watch from the sidelines hoping it will all sort itself out. I welcome these tougher statements and look forward to the RSPB taking a tougher stance on these issues. We’ll be chatting soon. Evidence to Westminster and Scottish Parliament on driven grouse shooting – comment. Woodpigeon bait and poisoned buzzard, still warm, found on Glenogil Estate, a driven grouse moor in Angus, in 2011. It’s been an interesting few days reading and listening to responses to Mark Avery’s proposed ban on driven grouse shooting and the proposal by Scottish Raptor Study Groups (SRSG) to licence game shooting. Many of the responses in favour of either of these proposals are compelling, though I have not yet seen an argument against that convinces me Mark or SRSG are on the wrong track. I think the most knowledgeable and convincing argument to ban driven grouse shooting comes from Guy Shorrock. Guy is a senior investigations officer with RSPB and his evidence is based on many years of experience in the field. Guy writes: ‘The National Crime Agency (NCA) define organised crime as ‘serious crime planned, coordinated and conducted by people working together on a continuing basis. Their motivation is often, but not always, financial gain. Organised criminals working together for a particular criminal activity or activities are called an organised crime group’. The current levels of raptor persecution on driven grouse moor estates should be classed as organised crime.’ Logan Steele, the spokesperson for SRSG said to the Scottish committee when giving his evidence, driven grouse shooting is a ‘business underpinned by criminality’. Both are absolutely correct. The killing, not just of birds of prey but of protected mammals such as badgers and otters, is most certainly in many cases organised crime. This criminality increases the profits of the estates through the elimination of factors that would have a negative impact on grouse. The extent is difficult to prove but I have no doubts that if anyone involved in the management of a driven grouse moor is eventually charged the police would also be considering an investigation using proceeds of crime legislation. I can go one better: I am aware of two such individuals, no doubt one of them being the same person to which Guy alludes. Over the years I have also described them as the top wildlife criminals in the UK. In their operations in Scotland and the north of England their methods, both immoral and illegal, have probably been the principal factor in causing these two petitions to appear before the Westminster and the Scottish parliaments. I have heard their methods praised by many landowners, gamekeepers and shooting organisations for the past decade, but at the same time I have listened to several of their former employees who have given me the full and disgusting story, chapter and verse but, apart from one, were too frightened to stand up in court and be counted. In more recent years the tide has started to turn as the negative publicity of the criminality and the public anger were recognised by the more sensible folks involved in the grouse industry. Had more intelligence been passed to the police that would have been a good start. Had much more support been given to the gamekeepers who had been (or were being) encouraged or directed to carry out criminal acts, they could have provided evidence (as opposed to intelligence) in the form of witness statements or recovery of illegal items and a case could have been submitted for prosecution. This could have been achievable by concerted action by the various shooting and land-owning organisations that have pretty much buried their collective heads in the sand for years, with no acknowledgement and half-hearted condemnation of what is taking place. I am sure that the extent of the criminality, if proved, would have meant a considerable jail sentence. It is still not too late for this to happen. It would make my day! The shooting industry and its representatives should be removed from all positions of power where wildlife crime law enforcement policy are discussed or decided upon. Driven grouse moors should be rewilded. This at a stroke, would remove the many very serious problems of driven grouse moors and provide real, significant, tangible benefits for the whole of society. Driven grouse moor management normally involves very high levels of wildlife crime as well as a range of very serious conservation issues. The illegal persecution of birds of prey in the UK has a very serious detrimental effect, especially on hen harrier and golden eagle populations. Raptor persecution should be treated as organised crime. Penalties for raptor killings should reflect the fact that these crimes are of a commercial nature. Custodial sentences should be made routine for employers, managers and employees. Financial penalties should be linked to the value of the business. The industry has consistently shown no will to reform itself, despite much help to that end for many years. There is practically no accountably to ensure that those managing driven grouse shooting estates adhere to lawful and decent environmental practise. It is clear that driven grouse shooting should be banned. However, in the absence of such a ban, it is essential that vicarious liability and shoot registration are urgently required. Society is failing to get any benefit from the huge subsidies given to driven grouse shooting estates, indeed these monies are funding very serious environmental degradation. 1. I have a long held interest in environmental issues. After serving as a Royal Air Force Officer, the rest of my career has been in nature conservation and for the last 20 years I have been employed by the RSPB as an Investigations Officer where I have been exposed, first hand to wildlife crime, particularly on grouse moors. Other than criminals, I am one of the few people who has first hand experience of witnessing raptor persecution on multiple occasions. This response is provided in a personal capacity. 2. For the last 20 years, I have had extensive involvement with raptor persecution across the UK. I have assisted police and other agencies with many criminal enquiries. I have very extensive fieldwork experience relating to driven grouse shooting. This has provided me great insight into some of the very serious problems associated with driven grouse moor management. Threats of local extinctions of raptor species such as hen harrier. Widespread, routine illegal killing of legally protected wildlife in large numbers that significantly affects populations and their conservation status. Widespread, routine killing of other species such as mountain hares, stoats, weasels, crows, jays, magpies, rooks, etc. The extent of this killing is such that it fundamentally changes the biological character of an area. Animal welfare issues relating to how animals are killed. The use of poisons, traps, shooting and other ways of killing frequently results in a slow, lingering and excruciating death. Loss of biodiversity. Regular heather burning prevents woodland regeneration. Water pollution. Heather burning causes particulate matter to be released into the water supply, resulting in increased costs to treat water for domestic use. Increased flood risk. Heather burning reduces the capacity of the land to hold water, resulting in increased rate of water run off, as was seen recently at Hebdon Bridge. Land use. An incredible amount of land is dedicated to driven grouse shooting which has no direct benefit for society, provides minimal employment and prevents the land being used in ways which would benefit the whole of society. I believe it is essential that the government takes these concerns seriously and looks to the benefits for society for alternative land use, particularly rewilding. 4. The illegal persecution of birds of prey is well documented. The link between grouse moor management and raptor persecution is crystal clear, as evidenced by a large number of peer-reviewed scientific papers, the physical location of where hundreds of confirmed incidents of raptor persecution has taken place (on a huge number of individual grouse shooting estates) and the fact that gamekeepers have been convicted for raptor killing crimes far more commonly that all non-gamekeepers combined. 5. Raptor persecution has a serious, negative conservation impact. There are huge areas of Scotland (and England) where the distribution, population and breeding success of several raptors is seriously affected by illegal persecution. Golden eagles, white-tailed eagles, hen harriers, kites, peregrines and goshawks are badly affected by illegal persecution on and around areas managed for grouse shooting. 6. In 2009, the UK Government made raptor persecution one of the top wildlife crime priorities. This has not led to improvements in the fortunes of raptors. The police remain unable to investigate offences in an effective way and to carry out no pro-active or covert work that is essential for effective law enforcement. Enforcement action need to be far greater, with clear and strong backing from political leadership. A dedicated, well resourced Wildlife Crime Enforcement team should be set up comprising perhaps 10 Officers for Scotland. As well as those actually undertaking the illegal killings, employers and managers must be targeted for prosecution. In Scotland, the SSPCA should be given additional powers. 7. It is essential to understand that raptor persecution is committed on remote land that is normally free from potential witnesses and by individuals with an intimate knowledge of the land, often operating at night with high tech, essentially military, equipment. The risk to them of detection is extremely low. Around 100 confirmed incidents of raptor persecution are recorded each year. It is not known what percentage of actual incidents this number accounts for, but I believe it will certainly be far, far less than 1%. The RSPB has received multiple reports of in excess of 100 raptors being killed on individual shooting estates in one year. Apart from the extremely low detection rate, of the confirmed incidents, the subsequent successful prosecution rate is less than 5%. As such, the chances of an individual gamekeeper killing a raptor and actually being prosecuted for it are extremely low. For every successful gamekeeper prosecution, I estimate that there will have been, very roughly, far, far more than 2000 other offences. Having been convicted, it is likely that the employer will pay any fine, meaning that there is effectively no consequence for a gamekeeper illegally killing raptors or other legally protected wildlife. [Only one gamekeeper ever, has received a custodial sentence for raptor killing in Scotland. This is probably the one and only time ever, that a significant deterrent was handed down, and the only occasion where managers or owners were unable to protect their employees from the law.] When gamekeepers are prosecuted in court, they are normally unusually well represented in court, often by QC’s, even for minor offences, by specialist defence firms. Having been convicted of wildlife crimes, gamekeepers invariably retain their employment. This arrangement allows managers and employers to remain very distant from the criminal actions of their staff. If a gamekeeper was ever to give evidence against his employer or manager, he would have practically no chance of working as a gamekeeper ever again. Gamekeepers coming forward publicly with information about raptor persecution would effectively make themselves unemployable. 8. Whilst it is invariably gamekeepers committing the offences on grouse shooting estates, they are not the primary problem. It is the shooting industry, the managers and employers of gamekeepers, who are the real problem and who create the environment for gamekeepers to operate in and who direct the widespread criminal practices taking place. The desire to produce incredibly high, unnatural numbers of grouse for driven grouse shooting is the motivation for widespread illegal predator killing. For many years, there has been numerous partnership working projects between conservationists and the shooting industry to find ways to enable this hobby to continue legally, but despite much help, there has never been any serious engagement from the shooting industry and the illegal killings continue. If the driven grouse shooting industry was serious about tackling problems like raptor persecution it could easily do so very quickly. It is essential to fully comprehend that this will never happen without serious and meaningful governmental action. 9. The shooting industry has a long and consistent history of acting without honour; it is of fundamental importance to understand this. It abuses pseudo-science to its own predetermined ends. It manipulates data. It sources obscure scientific studies which are irrelevant, portraying them as of fundamental importance. It is disingenuous. It lies blatantly. It says it will do one thing and then does another. This sort of behaviour, this desire to corrupt when it has effect on such large areas of our country and on so much of our wildlife is unacceptable and has no place in civilised society. As such, the shooting industry must be removed from all bodies that have any power to influence policy on law enforcement relating to shooting estates. 10. I have absolutely no doubt that any voluntary approach or code of conduct will never be effective. It is clear a robust and enforceable legal framework, backed up with the resources for rigorous enforcement, is needed to ensure the environment is properly protected. 11. It appears that sometimes employers/managers may be aware that their gamekeepers are illegally killing raptors, but ignore it. On others estates, it appears that gamekeepers are given explicit instructions to illegally kill raptors and are given specialist equipment to that end. Some estates spend vast sums of money supplying specialist equipment, firearms, night-sights, thermal imaging sights, illegal poisons, to enable their gamekeepers to commit crimes and avoid detection. 12. Without major legislative change, there is no prospect that the very serious problems associated with driven grouse shooting will change. Given that grouse moors cover such a large area of our country and that they impact in such a massive and detrimental way, on all sections of our society, this demands that government acts decisively. A ban on driven grouse shooting would at a stroke, terminate a wide range of very serious problems. Also, this would free up a large area of land for rewilding which would significantly benefit the whole of society and create new employment opportunities. I firmly believe that the law should be changed to specifically ban driven red grouse shooting. I am aware that some conservationists would settle for a licensing system as a compromise, but this tempting option fails to address the underlying incontrovertible fact that driven grouse shooting is fundamentally reliant on bird of prey persecution. It is an either or situation. …the grouse industry is always keen to point to the curlews, lapwings and golden plovers that undeniably benefit from their land management, as if an unnatural abundance of a few species of wildfowl should offset an entire ecosystem laid to waste. Can you imagine a gamekeeper visiting the Serengeti and advising the park wardens there: “Very nice, but what you want to do is kill off all your predators, hunt down all the wild ungulates, chop down all your trees, dry out all your marshes and repeatedly burn the place – that way you could get a few more waders”? This is clearly preposterous, but it is exactly the nonsense one hears spouted when self-styled countrymen, eschewing ecological qualifications or expert opinion, insist that their “management” (killing and burning) is somehow essential to the wellbeing of the uplands. Instead of a self-sustaining, self-regulating, vibrant assemblage of wildlife in a diverse natural landscape we are forced to accommodate, nay even subsidise, the vandalism perpetrated on our flora and fauna by a tiny minority locked into an outdated Victorian mindset. When confronted with the ecological facts proponents of grouse shooting sometimes put forward an alternative defence, that their sport is somehow vital to the rural economy and that a ban represents some sort of attack on rural values. This latter claim is insulting to the actual majority of us living in the countryside who take no part in a “sport” enjoyed by perhaps just 40,000 people per year – less than a third of the number who signed the petition calling for a ban. The economic argument is also poorly thought out, taking no account of the economic harm the sport does (e.g. flood damage), conflating the economic benefits of shooting as a whole with the small part represented by grouse shooting and pretending that in the wake of a ban no alternative revenue streams would exist. Unlike driven grouse shooting, wildlife tourism is genuinely big business (for just one example witness the millions of pounds pouring into Skye following sea eagle reintroductions there) and the tourism industry could become a major pillar of the oft-quoted northern powerhouse if managed appropriately. You might as well argue that heroin dealing supports a small minority of the urban population and so should be legalised and supported by government subsidies. If something is fundamentally wrong, the fact that it makes a profit cannot be sufficient to morally defend it. We banned slavery. We banned tiger hunting. 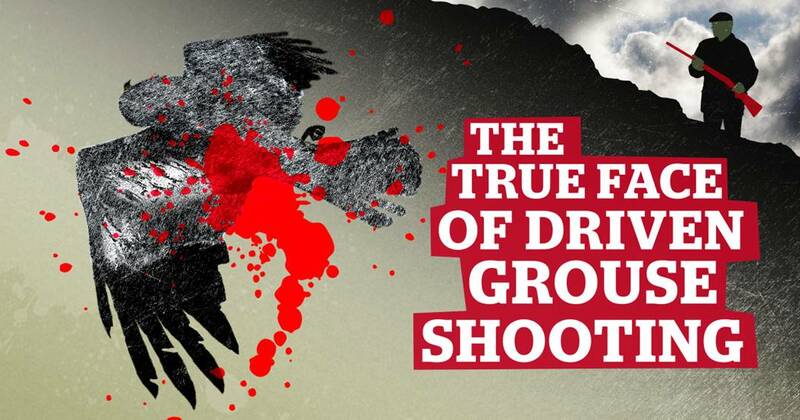 It’s time to ban driven grouse shooting. Past time in fact. In a fairer nation our national parks should not just be shooting grounds for a privileged few. They should be havens for nature, but the bizarre reality is that you have a better chance of seeing a peregrine falcon or a fox in central London than you do in the Peak District or the North York moors. It’s time to be bold. It’s time to be decisive. It’s time to turn the tide, to halt the damage and begin to help nature restore some of the wild beauty too long missing from our island. Ban driven grouse shooting. It is essential to understand that raptor persecution is committed on remote land that is normally free from potential witnesses and by individuals with an intimate knowledge of the land, often operating at night with high tech, essentially military, equipment. The risk to them of detection is extremely low. Around 100 confirmed incidents of raptor persecution are recorded each year. It is not known what percentage of actual incidents this number accounts for, but I believe it will certainly be far, far less than 1%. The RSPB has received multiple reports of in excess of 100 raptors being killed on individual shooting estates in one year. Apart from the extremely low detection rate, of the confirmed incidents, the subsequent successful prosecution rate is less than 5%. As such, the chances of an individual gamekeeper killing a raptor and actually being prosecuted for it are extremely low. For every successful gamekeeper prosecution, I estimate that there will have been, very roughly, far, far more than 2000 other offences. Having been convicted, it is likely that the employer will pay any fine, meaning that there is effectively no consequence for a gamekeeper illegally killing raptors or other legally protected wildlife. [Only one gamekeeper ever, has received a custodial sentence for raptor killing in Scotland. This is probably the one and only time ever, that a significant deterrent was handed down, and the only occasion where managers or owners were unable to protect their employees from the law.] When gamekeepers are prosecuted in court, they are normally unusually well represented in court, often by QC’s, even for minor offences, by specialist defence firms. Having been convicted of wildlife crimes, gamekeepers invariably retain their employment. This arrangement allows managers and employers to remain very distant from the criminal actions of their staff. If a gamekeeper was ever to give evidence against his employer or manager, he would have practically no chance of working as a gamekeeper ever again. Gamekeepers coming forward publicly with information about raptor persecution would effectively make themselves unemployable. Whilst it is invariably gamekeepers committing the offences on grouse shooting estates, they are not the primary problem. It is the shooting industry, the managers and employers of gamekeepers, who are the real problem and who create the environment for gamekeepers to operate in and who direct the widespread criminal practices taking place. The desire to produce incredibly high, unnatural numbers of grouse for driven grouse shooting is the motivation for widespread illegal predator killing. For many years, there has been numerous partnership working projects between conservationists and the shooting industry to find ways to enable this hobby to continue legally, but despite much help, there has never been any serious engagement from the shooting industry and the illegal killings continue. If the driven grouse shooting industry was serious about tackling problems like raptor persecution it could easily do so very quickly. It is essential to fully comprehend that this will never happen without serious and meaningful governmental action. I have absolutely no doubt that any voluntary approach or code of conduct will never be effective. It is clear a robust and enforceable legal framework, backed up with the resources for rigorous enforcement, is needed to ensure the environment is properly protected. It appears that sometimes employers/managers may be aware that their gamekeepers are illegally killing raptors, but ignore it. On others estates, it appears that gamekeepers are given explicit instructions to illegally kill raptors and are given specialist equipment to that end. Some estates spend vast sums of money supplying specialist equipment, firearms, night-sights, thermal imaging sights, illegal poisons, to enable their gamekeepers to commit crimes and avoid detection. Your task this weekend, should you choose to accept it, is to submit evidence to the inquiry on grouse shooting – for details of how to do that see here. ‘Submit evidence’ sounds a bit scary doesn’t it? How about ‘Send your thoughts’ instead? You could do that couldn’t you? Look at Question 1 – ‘Should the law on grouse shooting be changed? If so, how?’. I reckon you have thoughts on that. I am writing my evidence and it’s quite a task to limit oneself to 3000 words on such a big subject. You could write a book about it – hang on! Someone did. I know that many organisations are preparing detailed and erudite submissions to send in by the closing date on Wednesday 5 October but I have already also seen quite a few short submissions by members of the public which have been sent in too. These are often very compelling! You could add to their number. Would you like to see more birds of prey in our National Parks? I bet you would. Have you ever been affected by floods that you believe were exacerbated by moorland management, for example in Hebden Bridge? Do you believe in re-wilding and believe that driven grouse shooting is a barrier to progress? Do you feel angry every time you hear about another bird of prey being killed or ‘disappearing’? Do you object to your taxes being given to rich grouse moor owners through CAP payments? Do you think that wildlife crime against birds of prey is unacceptable in this day and age? Do you think that the government is failing to do enough to combat wildlife crime which emanates from driven grouse shooting? Do you think that the Defra response to the e-petition suggested that they were speaking for the shooting industry rather than for you? Do you think that Defra is ducking the issue of wildlife crime and this might be because grouse moor owners are natural Conservative supporters? Do you think that Defra should consider introducing vicarious liability for wildlife crimes as the Scottish government has done? I could go on, but if there is a single question above to which you answered ‘Yes’ then you have enough to stimulate you to send in a note to the inquiry. Please do. Be sure that others who answer ‘No’ to those questions will be busy over the weekend – are you going to give them the floor? I have been involved with monitoring and protecting raptors, in particular the Peregrine beginning 1967, when the North West Raptor Group was established, then only 7 active territories remained in the North West England. In the 1980s I located the first ground nesting pair of Peregrines close to the A6 on Shap. 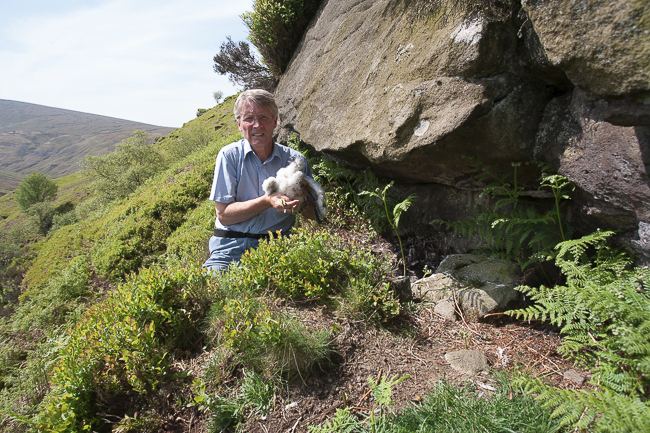 Field work began in 1974 in the Forest of Bowland when in April of that year Paul Stott, a founder member of the NWRG, discovered the first Peregrine nest in Bowland containing a single abandoned egg. In 1947 this same territory was known to be the only occupied Peregrine site existing in this moorland region following the end of the Second World War. The 1947 nest containing four eggs was found by 16 years old trainee gamekeeper Joe Pye. Before Joe passed away he told me personally, that after reporting his discovery to the estate he was instructed to accompany the head gamekeeper back to the nest the following day where he witnessed both adult Peregrines being shot and their clutch of eggs destroyed. In June 1991 the same Peregrine territory found by Joe Pye in 1947 was discovered reoccupied 44 years later by Paul Stott and Carl Smith containing two fully feathered chicks on the verge of fledging. I am unaware of any person alive or dead who had observed in their lifetime a successful nest at this same remote nesting site in any year prior to the 1991 discovery. This territory has now joined the 18+ Peregrine sites which are currently abandoned across the Forest of Bowland, a sad testament to the illegal killing of grouse-predating raptors within this upland region of West Lancashire where driven grouse shooting remains a prominent activity. A ground nesting pair of Goshawks were discovered in Bowland in April 1994 after their original nest in nearby woodland had been destroyed. The pair relocated onto moorland above the forest where they established a makeshift nest on the ground in heather in which they laid a clutch of four eggs. When the nest was revisited six days later the eggs were found smashed and both adult hawks were never seen again. The disappearance of both Sky and Hope in 2014 and the five missing male Hen Harriers lost in 2015 highlight a clear and unequivocal message from the game shooting industry, these birds are not welcome on grouse moors. This position is underpinned by what Derek Ratcliffe wrote within his now world famous book The Peregrine Falcon, that Hen Harriers are ruthlessly destroyed on many grouse moors. When Dr Ratcliffe took part in the BBC documentary The Silence of the Hills, he was asked why so many Hen Harriers had disappeared from the Forest of Bowland in the mid 1980s and again between 1992 and 1993. His reply was ‘For a Hen Harrier population to collapse in that sort of way is quite unprecedented, it must point to somebody actively persecuting these birds and destroying them. Who else could be destroying them but the people responsible for managing those moors? What else could explain that collapse, I can’t think of anything?‘. It is becoming clearer as each season comes and goes, progress to end the illegal killing of Hen Harriers and Peregrines on grouse moors is as far from a resolution as it has ever been. This position has been demonstrated this season by the total disappearance of any breeding Hen Harrier and Peregrine Falcon from Lancashire’s Forest of Bowland. The game shooting industry in England remains very much the feudal master and manager on moorlands where Red Grouse are shot. Many gamekeepers continue to act with impunity following in the footsteps of their Victorian predecessors when it comes to their illegal management of a variety of game-predating birds of prey. Gone today are the gibbets where gamekeepers not too many years ago proudly displayed a selection of poisoned, trapped or shot animal trophies, where in my youth I had witnessed at first hand a variety of raptors species hung out to rot. The only difference today is that strategies being used to kill, disturb and destroy raptors together with many nesting sites on grouse moors are not as obvious or transparent as they once were. In the past I had encountered numerous instances on grouse moors in the Forest of Bowland where mutilated Hen Harrier chicks had been left in nests with their heads cut off and their bodies trampled under foot. I recall one particular day where I discovering two destroyed nests on separate estates containing the corpses of seven mutilated chicks between them. Numerous abandoned Peregrine nests containing dead chicks or smashed and abandoned eggs were found on the ground left for anyone to find; in many of these cases the adult Peregrines and Hen Harriers from these sites had disappeared presumed shot. At one Bowland Peregrine nest the clutch of four eggs were removed and replaced by bantam eggs. The use of plastic Eagle Owls and Peregrine decoys by gamekeepers is nothing new to the Forest of Bowland. I discovered a decoy Peregrine half covered in hessian hidden in the rear of a gamekeeper’s parked vehicle on a Bowland grouse moor three years ago. The killing of raptors on grouse moors in the 21st Century, their displacement as they begin to settle down to breed, is now undertaken with more care, thought and subtlety designed to mask the crimes being committed. As witnessed in 2014 and again in 2015 on three English grouse moors, breeding Hen Harriers were taken out (destroyed) many miles from nests resulting in these offences being more difficult to detect. To my knowledge 2016 is the only occasion in which the Hen Harrier and Peregrine have not bred within the Bowland fells in the same year. Because of the remote regions where many of these wildlife crimes continue to be committed, police involvement on the ground is almost non existent, and bringing perpetrators to justice not surprisingly remains difficult if not an impossibility. Natural England’s Hen Harrier Recovery Project was one important initiative which most people had hoped would result in a lasting solution to the persecution of Hen Harriers. From the beginning however the project lacked commitment or any tangible support from the game shooting industry and therefore was doomed to failure. Throughout the duration of this project Hen Harriers continued to disappear from grouse moors along with at least 30 or so missing satellite tags which had been attached to many of these birds. The current Defra ‘Non Action Plan’ seems to me to be a total waste of time, money and effort. There is only one reason why Defra would propose that Hen Harriers should be released into southern England, their presence would not be welcomed on grouse moors and ultimately any Harriers that did return north would quickly disappear. It will be crucial to address the root cause of Hen Harrier disappearances, ie their persecution on grouse moors, before thinking of reintroducing manipulated broods anywhere in England. To do otherwise would be condemning more Hen Harriers to a certain death and ultimately their extinction. The facts of the mystery are really very simple to understand, the bulk of Red Grouse moor estate owners and their gamekeepers will never change their opinion of the Hen Harrier, or welcome their presence onto the moorlands they manage. I accept there are a small minority of enlightened thinking gamekeepers who are willing to accept one pair of Hen Harriers on the moorland they maintain. But these same individuals have voiced their concern and skepticism that if they accommodate one pair, the next year it could be two pairs and so on until the position would result in unacceptable damage to game stocks. Then there was another understandable consideration I was told about, any Hen Harrier nests found are likely to be protected initially, ultimately resulting in uninvited bird watchers coming onto the moorlands to admire and watch these birds; a situation which was considered undesirable. What happens then, would these same gamekeepers take the law into their own hands and begin to reduce numbers illegally once again? I recently read a comment claiming the RSPB did not care about Hen Harriers, this is nonsense and appears to have been written in a moment of frustration at the ongoing disappearance of these birds from grouse moors. The RSPB are in an unusual position because of the way they interpret the objectives of their Royal Charter, which previous comments posted on this blog and others have referred to. The Society claim they are neutral having no view one way or the other on the ethics of shooting. I find this position curious and difficult to understand as perhaps do many of the 45,000+ people who have signed the petition to ban driven grouse shooting. The Society appear to be interpreting part of clause (3) within the objectives of their Royal Charter, taking no account of wide-scale killing of raptors on grouse moors in Britain. Under the Objectives of the Society, the clause states, The Society shall take no part in the question of the killing of game birds and legitimate sport of that character except when such practices have an impact on the Objects. The sport of driven grouse shooting is dependent upon widespread criminal practices; the killing of protected birds of prey not only on grouse moors, therefore clearly impacts negatively on the integrity of the Society’s objectives, their ability to protect birds of prey. The current position is not helped by a reply provided by Natural England to questions asked in 2007 as to whether or not the (CROW) Act enables people to enter access land without the owner’s permission in order to carry out licensed bird monitoring which involves disturbing scheduled species at their nests. Natural England’s explanation says, As regards the issue of entry on to land in the first place, we believe that, as long as the person doing the monitoring is doing so on a voluntary basis (i.e. they are not doing so for payment), they can reasonably be regarded as taking part in open-air recreation: accordingly, the CROW act access rights applies and the permission of the landowner is not required. If, however, the monitoring is being being undertaken for payment, we believe that it falls within the scope of the general restrictions set out in Section 2 of the CROW Act: in this case, the CROW Act access rights does not apply and, in the absence of any other statutory or contractual access right, the landowner’s permission is required. Fundamental changes to England’s wildlife legislation are justified but must include improved enforcement. Following Scotland’s lead by introducing Vicarious Liability (making the landowner responsible for the criminal actions of his or her employees) may help the situation south of the border, but not surprisingly was rejected by the Westminster Government, not too difficult to understand why. Likewise the introduction of a Licensing Scheme in England, as proposed by the RSPB for all grouse moors owners is an interesting proposal, but would be difficult if not impossible to police. I also doubt that a Tory administration would sanction or even consider such a scheme in the first place. Banning driven grouse shooting in England is in my opinion the best platform from which to engage with the wider public, who so far know very little or nothing about the Hen Harrier or their continued persecution on grouse moors by gamekeepers. This position must change soon if we are to win this war, because unless you haven’t noticed we are losing the battle. The Hen Harrier and Peregrine are two raptors which are conspicuous on grouse moors in northern England by their almost total absence from these managed areas, a situation I regard as an unacceptable outrage and embarrassment to our country. It is disappointing the RSPB have so far, without prejudice, not enlightened their million members asking if they would consider providing support to Mark Avery’s e-petition and its conservation objectives. The current situation has some similarities to the Roman emperor Nero who fiddled while Rome burned. Raptors are a finite wildlife resource and important part of moorland ecosystems, once they have disappeared from the uplands of England, it will be almost impossible to bring them back. Mark Avery’s e-petition calling for a ban driven grouse shooting will result in the 100,000 signatures needed to trigger a debate in Parliament eventually. This does not mean the current Westminster government would allow such a debate in the House of Commons to take place because to do so would raise the profile of the Hen Harrier’s persecution beyond acceptable limits in the public eye. The government have already reduced the qualifying period for government e-petitions by 50%, down from 12 to 6 months, are they concerned, yes I think they are. We must not forget a number of grouse moors are owned by extremely wealthy and influential people. These include MPs like Richard Benyon the former Minister for the Environment Fisheries and Food and the Duke of Westminster. At a meeting of Natural England’s Hen Harrier Recovery Project in October 2007 at Abbeystead His Grace told the United Utilities estate manager he did not want Hen Harriers from the United Utilities estate coming onto his estate killing his grouse. An unknown number of Conservative MPs and their party supporters take an active part in driven grouse shooting. These people would not wish to see any debate in Parliament or encounter a single Hen Harrier on any grouse moor where they shoot spoiling their sport. Because of politics, as long as England has a Conservative administration I see no prospect of proactive changes being introduced to help the plight of ‘protected’ raptors like Hen Harrier or Peregrine on moorland where Red Grouse are shot. OK let’s get back to Hen Harriers. Aren’t they lovely? Those who have been defending or promoting driven grouse shooting find Hen Harriers difficult to talk about. It will be interesting to see how much utter tripe some MPs may come up with in the debate we expect to see over the future of driven grouse shooting. As an MP, you can get away with saying almost anything in parliament but you can’t get away with saying it secretly or erasing the account of your saying it. 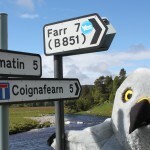 Any MP who misrepresents the facts about Hen Harriers in a debate on the future of driven grouse shooting should expect to be swamped by letters from her or his constituents afterwards. In all modesty, you will find Chapter 1 of Inglorious a good guide to the biology and status of the Hen Harrier in the UK and Chapter 3 deals with the crucially important Langholm study (Inglorious was the second book in the BB Book of the Year list after all – with Prof Ian Newton FRS on the panel of judges). You won’t have heard, because of editing, Andrew Gilruth being challenged to admit the scale of illegal killing of Hen Harriers on Farming Today. Andrew finds this subject difficult. You can hear how difficult a subject he finds it by listening to the unedited and free (though slightly fiddly to get to) podcast (it’s the 3rd item this week) which accompanies the Spectator article by Matt Ridley. I will wait with interest to see how the editing of Countryfile this evening deals with this subject because Andrew was, again, challenged by me to admit that the main problem for Hen Harriers is wildlife crime. Andrew finds the subject difficult. I was on BBC Radio Cumbria on Friday morning and heard Moorland Association chair, Robert Benson, avoid the subject for quite a while until the presenter asked him outright about Hen Harriers (as I had raised the subject in my slot). My recollection (I did make a note of it but I seem to have lost the scrap of paper) was that he said that he ‘hoped and prayed’ that there would be more Hen Harriers in England next year. Well Robert, that isn’t necessarily a winning strategy and I doubt very much that it is a view shared by all your members. The Moorland Association has massive problems of credibility here – Hen Harriers are being killed on grouse moors and the motive for that killing is to protect unnaturally high densities of Red Grouse whose purpose in life, seen by Moorland Association members, is to be shot for fun. Hen Harriers are killed illegally on grouse moors so that Red Grouse can be killed for fun. It’s an impossible state of affairs to defend which is why all try their best to steer clear of it – which is what Andrew Gilruth has tried to do and what Robert Benson tried to do too. Another approach is to get the facts very badly wrong. Well, I say it is an approach but it might be an honest mistake of course. Matt Ridley got the facts wrong in his Spectator article and we see it happening again and again in the media. Any MP who takes briefing from the grouse shooting industry will have to be aware that their words, for which they will be responsible, will be in Hansard for ever. They have a responsibility to be truthful and on our side of the argument we will be doing our best to make sure that MPs are perfectly briefed on this subject but also that any mistruths are publicly exposed afterwards. There is another approach, which is so rare that it demands recognition even though it may make the person concerned blush – and that is to tell the truth. The fact of the matter is that driven grouse shooting is underpinned by wildlife crime against raptors that are fully protected by law and have been for decades. There are some who regard themselves as untouchable (a phrase well-coined I believe by our big brother blog, Raptor Persecution UK) when it comes to the law. Wildlife crime is wildlife crime and the uplands of England, including our National Parks such as the Yorkshire Dales and Peak District and North York Moors are massive wildlife crime scenes. Here’s a great Hen Harrier plan – ban driven grouse shooting. This is how, in a democracy, you win when you are outnumbered: you purchase the results. It’s how politics now works. The very rich throw money at the parties, lobby groups and thinktanks that project their demands. If they are clever, they keep their names out of it. Here’s an example: a campaign fronted by the former England cricket captain Sir Ian Botham, called You Forgot the Birds. It appears to have two purposes: to bring down the RSPB – the Royal Society for the Protection of Birds – and to get the natural history presenter Chris Packham sacked from the BBC. It likes to present itself as “… a network of people who are passionate about bird habitat. Some of us are conservationists or self-confessed birders, some are farmers and landowners, some work full-time in the countryside while others are volunteers from the cities.” And this is what it revealed in a footnote at the bottom of one of its press releases, that has since vanished from the web: “The You Forgot the Birds campaign is funded by the British grouse industry.” Ah, the grouse industry. Who would have guessed? To shoot grouse you have to be exceedingly rich: it costs around £7,000 per person per day. The owners of grouse moors, who are also exceedingly rich, justify these fees by ensuring that there are vast numbers of birds to shoot. This requires, across great tracts of our uplands, the elimination of almost everything else. Grouse are wild birds, but cosseted at the expense of other life forms. Predators and competitors must be eliminated, either legally or, in the case of protected species such as peregrine falcons, golden eagles, red kites and hen harriers, illegally. Many grouse moors are black holes for birds of prey. They disappear and their satellite tags stop working in the same places, again and again. Alien abduction? Russian black ops? No: shooting, trapping and poisoning by the gamekeepers employed to maximise grouse numbers, most of whom, on these remote moors, get away with it. Producing as many grouse as possible also means burning and draining the land, to create a monoculture of the young heather the birds eat. Sure, this releases the carbon in the soil, pollutes rivers and helps to flood the towns downstream. But to hell with the plebs. To rub our noses in it properly, we pay them for the privilege: grouse moors are subsidised by us. At the height of his austerity programme, as essential public services were cut to the bone, David Cameron’s government raised the subsidy for grouse moors by 84%, to £56 per hectare. Some owners now harvest hundreds of thousands of pounds of our money every year. Cameron also tried to close the national wildlife crime unit, which would have pleased his friends no end. It was saved only by a public outcry. Conservationists have called for a law of vicarious liability, making the owners of grouse moors responsible for the wildlife crime they commission, rather than leaving only the gamekeepers to take the rap. But this proposal was struck down by Cameron’s environment minister, Richard Benyon. I’m sure it had nothing to do with the fact that he owns a grouse moor. But through the efforts of wildlife campaigners (like Packham and the RSPB) and people whose homes have been flooded downstream, the grouse industry is now being called to account. Last week, the petition posted by the conservationist Mark Avery calling for an end to driven grouse shooting – where wild birds are sent towards the guns by “beaters” – passed the 100,000-signature threshold: the issue is now likely to be debated in parliament. The result is You Forgot the Birds, championed by the Daily Mail, which describes it as “a grassroots campaign by farmers and conservationists”. It is, of course, coincidental that Paul Dacre, the Mail’s editor, owns a grouse moor. We know who’s in front of this “grassroots campaign”: Botham, who runs a shoot in North Yorkshire. But who’s behind it? Only one funder has so far been identified: the billionaire hedge fund owner Crispin Odey. We also know that the campaign is run by a lobbying company called Abzed. It boasts that “a besieged grouse moor community turned to Abzed. Our approach was to turn the spotlight on to the RSPB.” Very grassroots, I’m sure. Claims made by the campaign keep falling apart. Last year the Telegraph had to issue a humiliating correction and apology to the RSPB after it repeated statements in a You Forgot the Birds press release that seem to have been conjured out of thin air. Last week, in the Mail and on the Today programme, Botham recited figures for the rare birds found on grouse moors during a survey by the British Trust for Ornithology. The BTO says it has conducted no such survey. The purpose of the countryside, for people like Botham, Odey and Dacre, is an exclusive playground for the rich. For them, authentic country people are those who own or rent significant tracts of land, many of whom live in cities, and those who work for them, as long as they wear tweed instead of Gore-Tex. As for the RSPB and its members, they’re bipedal vermin. Never mind that many of them live and work in the countryside; they are interlopers with no right to a voice in rural life. The media collaborates. News reporters describe shooting and hunting lobbyists as “countryside groups”, anointing them as the authentic rural voice and casting those who oppose them – who often seem to possess a far greater love for and knowledge of the countryside – as interfering townies. Documentary-makers seek a stereotyped rusticity which, though politically charged, is presented as the neutral and immutable spirit of rural life. The co-presenter of the series Clarissa and the Countryman was Sir Johnny Scott, a baronet who owns 5,000 acres in the Scottish borders: that’s what the BBC means by countryman. Where is he now? Ah yes, fronting up You Forgot the Birds with Botham. When opposition is seen as illegitimate, it appears to be legitimate to cheat and bludgeon. That’s how the lords of the land have long maintained their pre-eminence. Today you can no longer call out the yeomanry, sit in judgment then have dissenters hanged. But there are other means of bypassing democracy. You buy yourself a crowd, or at least an outfit that looks like a crowd. You demand, from your position of comfortable anonymity, the silencing of people who contest your claims, like Packham. You use a corrupt and partisan media to hound them. This is how politics works these days: astroturf groups (fake grassroots movements) and undisclosed interests are everywhere. The same forces are at play in the tobacco industry, fossil fuels, junk food, banking, guns, private health provision, in fact throughout public life. They recruit celebrities to front their campaigns. The astroturf groups confuse and obfuscate, make up stories and grant their anonymous backers plausible deniability. They are a threat to democracy. Call them out, expose them to the light, and don’t believe a word they say. The Forest of Bowland is an Area of Outstanding Natural Beauty and used to be the last stronghold of the Hen Harrier in England. When you drive into the area you are welcomed by a sign illustrated with a Hen Harrier (alternative sign here and a wag has made a point with this one). The symbol is is now quite ironic and a continual reminder of the embarrassing fact that there are now no Hen Harriers breeding in the Forest of Bowland. The Hen Harriers used to breed on North West Water / United Utilities land and recently not at all on the estate owned by Gerald Grosvenor, one of the richest people in the UK and who some people refer to as the Duke of Westminster. Incidentally but not co-incidentally there were also no Peregrines breeding on the Forest of Bowland this year and as Terry Pickford writes, that to his knowledge, this is for the first time. In the 1990s my sister’s neighbour used to say he saw a Hen Harrier every day around the farm on his way to work and he worried about them taking his hens. Sadly no more. The Forest of Bowland also used to have several pairs of Peregrines. One pair bred for a few years in an abandoned quarry on my sister’s farm but only when disturbed at its territory in a nearby working quarry. One year at least, that I know of, it was disturbed by the local working quarry owner’s son using the quarry for ‘target practice’ – only a caution was given, naturally. I myself even discovered an alternative walk-in nest-site which this pair used one year. It was a terrible choice as it was basically nesting on the ground with a slight ledge and so the pair must have had good reason to desert the perfect site in the working quarry. By that time my sister’s old quarry was too overgrown with trees for the Peregrines. So the situation is, to say the least, dire and has no doubt pushed many people to sign the petition for a ban on driven grouse shooting. Here is a summary of the situation in 2012 by John Armitage. In 1991 there were 18 successful nests and even as recently as 2009 there were 17 successful nests. So what is happening? Well it is obvious but here is a description of what happened to 22 Peregrine breeding attempts this year. That might give a clue. 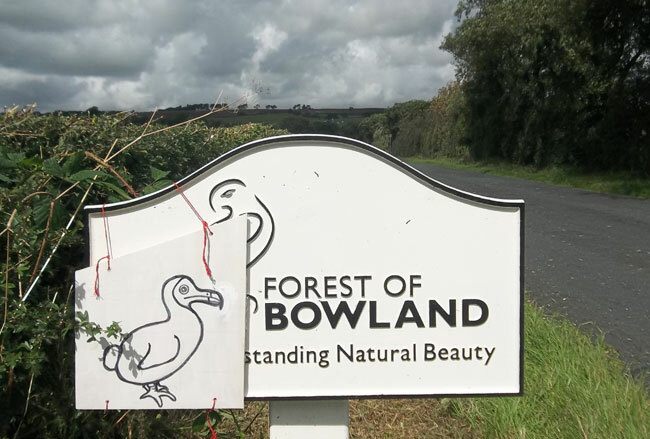 I am sure that there are those who would like the sign for the Forest of Bowland changed but it should stay as a permanent reminder of the state of affairs and perhaps in the not to distant future it will not be a symbol, not of failure but success. I notice the official site for the Forest of Bowland, which even has the symbol of a Hen Harrier as its logo, doesn’t even note the existence of Hen Harrier Day in spite of several events in the area. The Bowland Brewery makes a pale ale called Hen Harrier and is promoting the cause of the missing Hen Harriers. For this it has been rewarded with internet abuse. That was enough for me and I (and many others) ordered a case. Very good beer it is too. Hen Harrier Day was initiated by Birders Against Wildlife Crime (BAWC), and organised and coordinated by a coalition of BAWC, former RSPB Conservation Director and leading activist Mark Avery, broadcaster and conservationist Chris Packham, the country’s leading wildlife charity the RSPB, and the North West Raptor Protection Group. Hen Harrier Day attracted support from a wide selection of organisations and activists, including the Wildlife Trusts, the National Trust, the Hawk and Owl Trust, the League Against Cruel Sports, the Peak District National Park, South West Peregrine Group, Birdwatch magazine, Rare Bird Alert, Bird Information, Birdguides, Welsh Ornithological Society and Quaker Concern for Animals. Just a few hundred years ago the Hen Harrier was a common and widespread bird of prey. Massive changes in land use meant they lost many lowland breeding sites, and they retreated to breed on upland moorland. Relentless persecution by gamekeepers employed on shooting estates followed. Numbers have declined markedly in recent years as intensification of grouse moors has stepped up, and Hen Harriers have been identified as a priority species by the UK Government in terms of combating wildlife crime. Peer-reviewed research suggests that good habitat remains for Hen Harriers, but there are 962-1285 breeding pairs of Hen Harrier ‘missing’ from Scotland and 322-339 pairs ‘missing’ from England. A 2011 report clearly stated that in England illegal persecution is “such a constraint that the Hen Harrier is threatened with extinction as a breeding species”. In 2013 – for the first time since records began – no Hen Harriers fledged young in England. In 2014 just three pairs have bred – all have required 24 hour protection. No-one knows what might happen to their young when they leave the natal areas. On the 10th of August – when the media’s attention was turning towards grouse moors and the start of the ‘Inglorious 12th’ – we highlighted the scandal of the widespread illegal persecution of Hen Harriers on upland grouse moors and celebrated one of our most iconic birds of prey. For BAWC, Hen Harrier Day was primarily about raising awareness of wildlife crime – the persecution of a protected bird of prey. We felt then (and still do) that to move on from the current situation, there has to first be a full and clear acknowledgement from the shooting industry that illegal persecution has been widespread and is a limiting factor on Hen Harrier populations. Next there needs to be a commitment from the industry to ensure that all legislation protecting our wildlife is rigorously enforced, and that lawbreakers – current and historic – are reported to the proper authorities immediately. Mark Avery blog post Does driven grouse shooting rely on criminal activity? Earlier this year, the Bowland Brewery in Lancashire committed to donate a proportion of the proceeds from the sale of its Hen Harrier beer to the RSPB’s hen harrier conservation projects (see press statement here). James Warburton, owner of Bowland Brewery said: “The hen harrier is a living symbol of Bowland Brewery’s intimate connection with the landscape where we produce our beers. The very real prospect that this beautiful bird of prey may disappear from the skies above the Forest of Bowland is unthinkable. That’s why we are committing to donate a significant sum of money each year to safeguard the future of one of Bowland’s most iconic residents. As the harriers return to the Bowland Fells to nest this spring, we hope to see nature-lovers visiting the area to marvel at their amazing skydance and celebrate with a pint of the beer these rare and precious birds inspired. Recently, this photograph of Chris Packham and Mark Avery enjoying a pint of Bowland Brewery’s Hen Harrier beer, was posted on the Bowland Brewery’s social media platforms (twitter and facebook). As a result, some individuals from the grouse-shooting industry have launched a hate campaign aimed directly at the Bowland Brewery. “Get this off tomorrow or we will hound you”. “Shut them down. Anti shooting”. “Shut down the business. Shut down, boycott, whatever. Get Bowland Brewery outed”. “Get hold of the boss and tell him to mend his ways. Otherwise we will crush em”. Nice guys, eh? Wonder how many of them making threats have a shotgun/firearms certificate? There are some known gamekeepers involved in this hate campaign, including the Head Gamekeeper of Millden Estate in the Angus Glens, Bert Burnett from the Scottish Gamekeepers’ Association (who wrote “Well done everyone”) and some of the comments have been ‘liked’ by the official facebook page of the National Gamekeepers’ Organisation. All slightly ironic from an industry that has recently accused Chris Packham of ‘celebrity bullying’ (see here) just because he’s politely asking Marks and Spencer to be transparent about their claims that their red grouse are produced ethically and sustainably (see here). It’s also ironic that this hate campaign against the brewery comes from an industry that purports to be interested in protecting rural jobs. 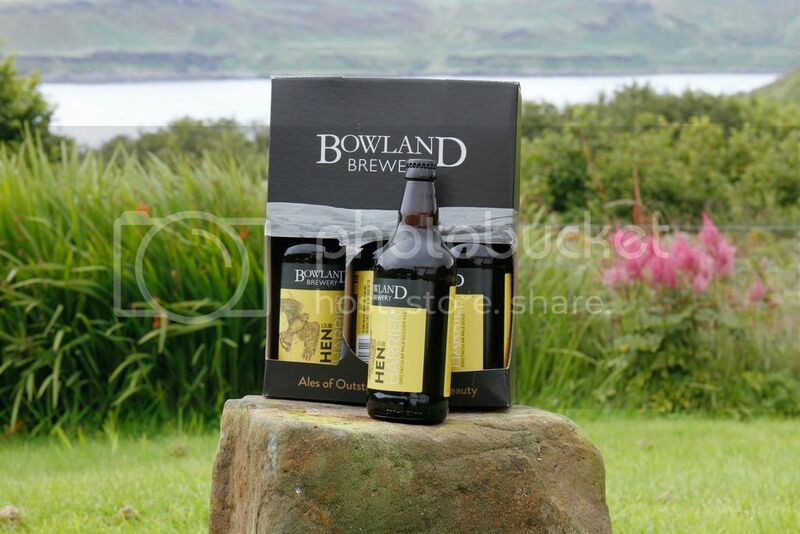 The Bowland Brewery is a small business, employing local people, in a rural community. If you want to show your support for the Bowland Brewery and their ethical and charitable support of hen harrier conservation, please consider buying their beer. It’s available in various local outlets (see here) and can also be bought online (see here). If you want to support the campaign to ban driven grouse shooting, because it’s the only way hen harriers will be allowed to thrive in the English uplands, then please join 65,000 others and sign THIS PETITION. 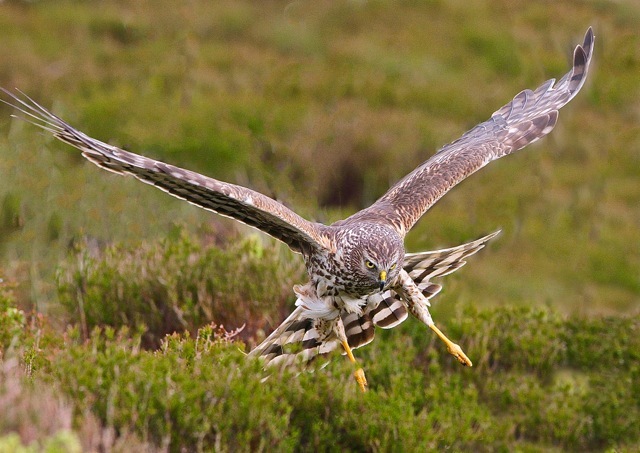 The RSPB has decided to ‘withdraw its support for DEFRA’s Hen Harrier Action Plan’. See Conservation Director Martin Harper’s blog here for the full explanation. This is very welcome news – well done RSPB! Some will say the RSPB should never have supported it in the first place (and we’d be in that camp). 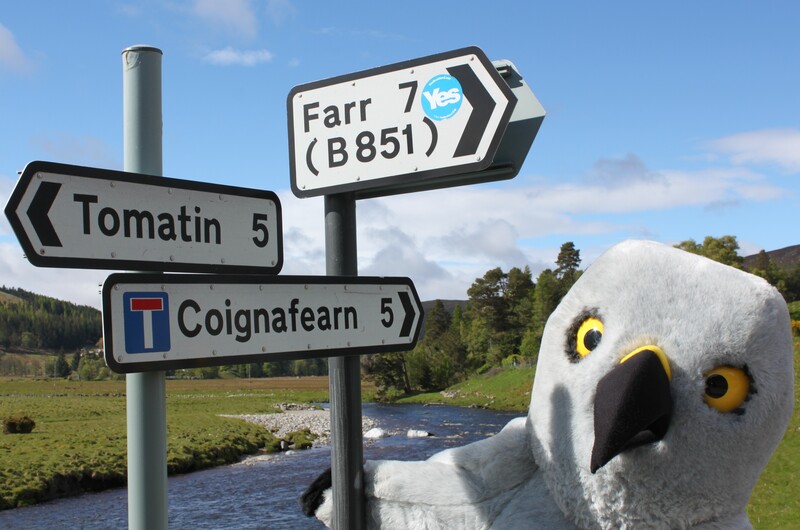 The Hen Harrier Action Plan was never a plan to help hen harriers, even though it was dressed up as such. What it actually was/is, is a plan to help remove hen harriers from driven grouse moors so that there are more red grouse available to be shot by wealthy gunmen (see here). Others will say that the RSPB has played a clever game by initially supporting the Action Plan, knowing full well that the grouse-shooting industry would never be able to deliver on its promises to stop the illegal killing of hen harriers. By giving the industry the time and space to fail, and then by walking away from it, the RSPB is able to make a strong political statement and still come out of this looking like the reasonable and rational organisation we all know it to be. By supporting this ridiculous Action Plan, the RSPB came in for quite a lot of criticism from ‘our side’. Many of us were frustrated that, at best, the RSPB was sitting on the fence and at worst, legitimising the ‘sport’ of driven grouse shooting and all its associated environmental damage. The dark side used the RSPB’s involvement with the HH Action Plan as a PR stick with which to beat detractors of the Action Plan: those of us who support a ban on driven grouse shooting were painted as ‘extremists’, a bunch of unreasonable radicals unwilling to engage in partnership working to find a solution. There’s an element of truth in that, because, unlike the RSPB, our patience with the grouse shooting industry expired a long time ago. We already know that this industry is either incapable of, or unwilling to, abide by the law and so negotiation with them is futile. But we wouldn’t describe that as being unreasonable or extreme; rather it’s more of an obvious next step in the face of blatant ongoing criminality (and subsequent denial) from the grouse shooting industry. It’s good to see the RSPB catching up. Although, the RSPB hasn’t caught up entirely. Now it has withdrawn its support for the HH Action Plan, it looks like the RSPB has at least swung its legs back over to our side of the fence. But it still hasn’t jumped from that fence. With its steadfast refusal to support a ban on driven grouse shooting, the RSPB is still perched atop that fence and is looking down at the ground trying to judge whether the distance to jump is too far. The RSPB thinks licensing is the way forward, rather than an outright ban. There are merits in that approach, of course, but to be successful, licensing will require effective enforcement AND a willingness from the grouse shooting industry to abide by the licensing rules. We’ve seen no evidence to suggest that either of these two elements will work. But for now, let’s applaud the RSPB’s withdrawal from the HH Action Plan, let’s enjoy the increasing isolation with which the grouse shooting industry is bringing upon itself, and let’s push on with our aim of getting 100,000 signatures on THIS E-PETITION to trigger a Westminster debate on the future of driven grouse shooting.